Market Analysis by Area for February: So far this Winter brought 2 great months for real estate with $50,326,500 in monetary volume and 106 transactions in February.The average transaction price for all reported 18 areas: $480,784, average residential price: $486,266 and median residential price: $412,000.The average PPSF was $345. Keystone was fairly busy for February with 22 transactions! Market Analysis by Area YTD 2015 ( 2 months): YTD- monetary volume was $116,862,800 with 233 transactions. Average transaction price: $504,493, Average residential price: $532,023 and Average PPSF: $346. Market Snapshot for Years 2015 vs.2014: Values continue to be strong in 2015 and are as follows: Average Indicators for $: Single Family +4%, Multi- Family +15% and Vacant Land +17%. Median Indicators for $: Single Family +9%, Multi- Family +19% and Vacant Land +19%. Market Analysis % Change showing years 2004-2015 : Monetary volume ($50,326,500) in Februrary is up +25% compared to February 2014. Number of transactions up +28% in February 2015 compared to February 2014! YTD ( 2 months) Summit County real estate is up 26% in monetary volume and up 26% with number of transactions compared to YTD 2014. The February’s numbers are the highest in a February since 2008. Residential Market Sales by Price Point: Residential volume in February had 89 transactions with $43,277,700 gross volume. There were only 3 properties that sold for $1M and above in February. The most active price points were a mix in February-with 15 transactions below $200K, and the next price point that was busy was the $300K to $400K. There were 24 Single family, 65 Multi-family and 6 Vacant land transactions in February. YTD 2015 Average Price History: Average residential pricing continues to stay strong: Single Family- $817,736, Multi- Family-$409,886 and Vacant Land-$373,635. This graph on page 7 is a great piece to show your clients that our market has held it’s value over all these years. Historical Cost Breakdown for 2015: There have been 187 residential transactions in 2015 and $99,488,300 gross volume with 15 properties selling for a $1M and over- Compared to 2014- there were 150 transactions and $73,888,600 gross volume, 11 properties at $1M and over and in 2013, there were 153 transactions with $80,367,800 gross volume, 16 properties at $1M and over. Top Lender Graph: There were 407 loans in February, 65% (106) loans were related to sales, there were 122 REFI’s and 216 loans were timeshare related. 35% of the real estate closings were cash transactions. Market Highlights: Please see page 10 of the Market Analysis-Higher priced sales were sluggish in February with only 2 to note. There was also one Bank Sale in February. 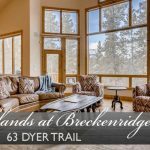 There was a sale at the Breckenridge Mountain Lodge in the Commercial sector for $2.6M, the PPSF was only $77.17. Foreclosures: Foreclosures continue to be very low again this month with only one PTD. Land Title Purchaser Highlights ( Page 14): There were 4 higher end sales in February to note- you can see the details on this report. In February, our buyers for real estate transactions were the Front Range demographic at 43% of our market, 24% are local and 32% are out of state buyers, with only 1% International. Check out this article from Fortune Magazine regarding the predicted housing market trends this spring. 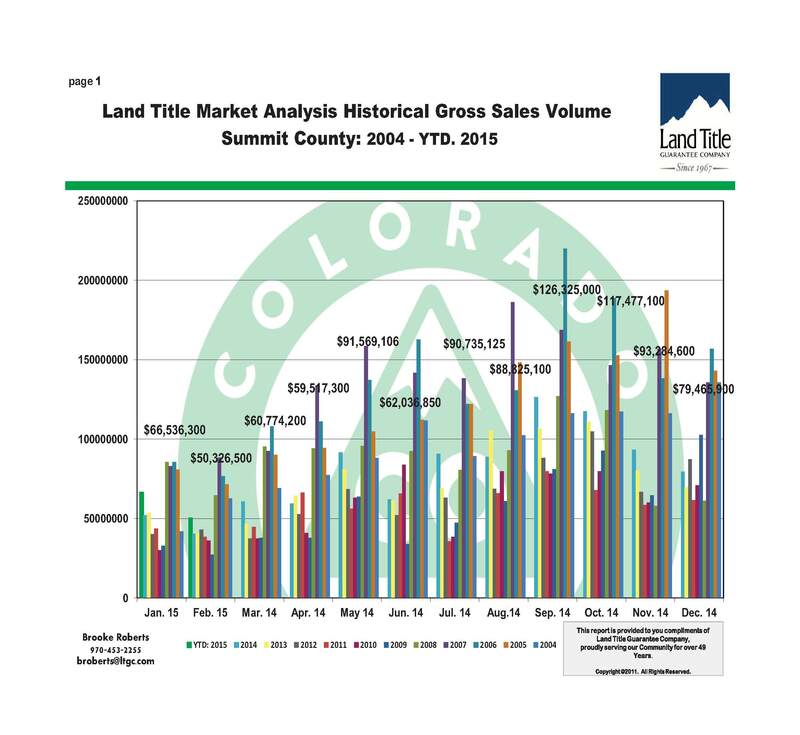 The major factor that will affect Summit County, CO is the pent-up demand. In the last couple years, demand has been low as not many people had the disposable income to buy a second home. We have recently seen more and more people looking to purchase homes in Frisco, Breckenridge, Dillon and Silverthorne so now is the time to buy or sell.  View the full article HERE and contact me if you are looking to buy or sell a home in Summit County. Referrals are always appreciated! The real estaet market in Summit County has been on the rebound for the last few years. Home Depot even purchased a lot for $12 Million which is one of the largest land transactions we have seen in years . With the uptick in home sales, the rental maket has been surging. It is a great time for investors to buy their next property for short or long term rentals. Click HERE for the full article from the Summit Daily and contact to find your next home in the mountains! Many people struggle to find a property they love when the market is improving. Homes that have been completely remodeled and updated are priced at a premium and often sell very quickly. This is especially true for those looking to purchase a second home or investment property. 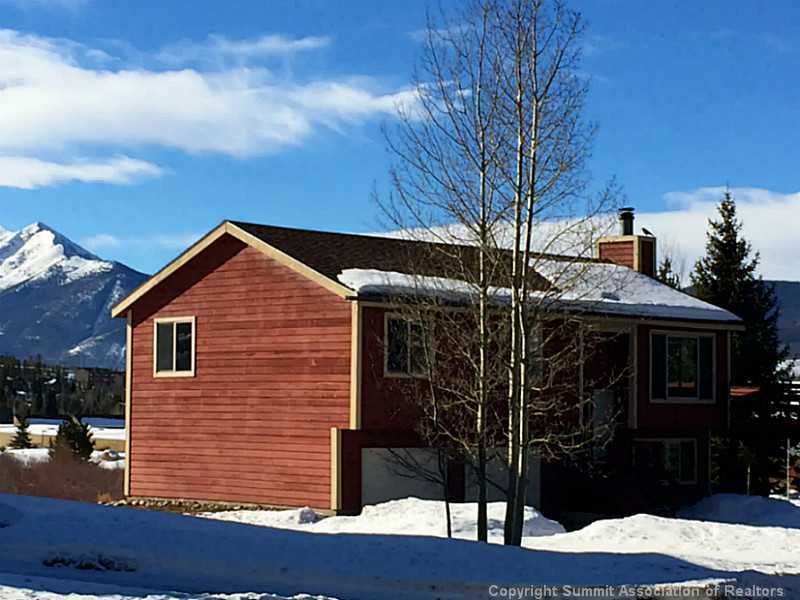 It is still possible to purchase single family homes in Summit County for under $400K! Take a look at this great home that is available in Dillon Valley. Click HERE Contact me for more information or to take a tour! Check out this great article from CNBC about some of the upcoming trends we can expect in the housing market in 2015. Probably the most noteworthy are the new First-Time Home Buyer programs that will only require 3% down. There are also state and national grant programs to assist with the down payment and the closing costs. 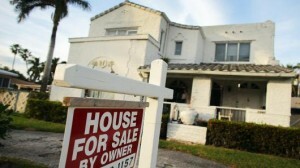 An increased number of “For Sale By Owner” properties are expected. Even if you are already working with a real estate agent and come across a FSBO, most sellers are still more than happy to work with real estate agents who bring them a potential buyer. Do not hesitate to let your agent know about any FSBOs that you come across. Most often it is the seller that pays your agents fees. Don’t forget to contact me to find your dream home in the mountains! 1. A last call for refinancing. At its highly anticipated mid-December meeting, the Federal Reserve Board announced it would exercise “patience” when considering raising interest rates. Chair Janet Yellen indicated it would be early April before the board would meet again to discuss an increase in interest rates, meaning that the first quarter of 2015 could signify the end of historically low interest rates. This means the window is starting to close for refinancing. This is the last call for anyone with a higher rate who has not yet refinanced. This is particularly critical for homeowners who took out an adjustable-rate mortgage. Buyers who have been sitting on the sidelines should consider how rising interest rates could impact their monthly payments and purchasing power. If you’re looking to buy your first home and have trouble coming up with a substantial down payment, there are new programs to assist you. In early December, Fannie Mae and Freddie Mac announced conventional loan down payment programs that allow first-time buyers with good credit to qualify for a fixed-rate mortgage with a 3-percent down payment, rather than 5 percent. There are stipulations to qualify for the program: Borrowers must meet first-time buyer requirements and they must reside in the home. There are many states as well as national programs, which offer grants that range from 1 to 5 percent to be used for a down payment or closing costs. And remember that smaller down payments mean you will pay mortgage insurance in addition to your mortgage payment each month. These easing loan standards will allow more first-time buyers to enter the market. The millennial generation has been so far highly unlikely to buy homes. This is a group that has been hit with the triple whammy of student loan debt, entering the workforce in a weak jobs environment and tightened lending standards during the financial crisis. However, 2015 is a year when millennials are likely to become buyers. Rising rents, available housing stock and life changes such as marriage and children will mean that it will make more sense for millennials to become first-time homeowners. The job market is stronger now, and rents are only going higher. The monthly outlay for rent in many cities can often be more than a monthly mortgage payment, making owning more appealing than renting. Those who lost their homes to foreclosure may find their way back into the market in 2015. Currently, these former homeowners can qualify for FHA mortgages. But even buyers interested in a more affordable conventional loan who had a foreclosure seven or more years ago will now see the default events starting to come off of their credit reports. That could definitely begin to trigger an uptick in new home buying. Low interest rates and down-payment assistance programs could spur more buyers to enter the market, but sellers also have some advantages. Sellers have become savvy the past few years by using online real-estate tools such as Zillow to price their and list their homes. I’m seeing an increase in “For Sale by Owner” efforts recently, and this trend can expand beyond the fringes. People are trying to reduce their fees. We just got back from South Africa a couple days ago. It was an absolutely amazing trip – we had the opportunity to do everything from safaris to snorkeling. If you ever have the chance to visit, I highly recommend it. Check out some of the pictures on Facebook! Market Analysis by Area for September: September indicated solid and strong market activity for Summit County real estate.There were a lot of upper end sales from out of state buyers that bumped up our gross volume. There were 272 transactions with $126,325,000 in gross monetary volume. The average transaction price for all 18 reported areas at $468,586, average residential price was up from last month, $506,337 and the median residential price was also up, $413,500. The average residential PPSFwas $311.The Keystone market was finally busy in September with 37 transactions. YTD Transaction Summary: There have been a total of 1413 transactions with $672,341,981 monetary volume, the average transaction price for all 18 reported areas is $476,785. The average residential price is $503,151. The median residential price is $405,000. The average PPSFremains at $312. Market Snapshot for YTD 2014 vs. 2013: Values remain steady and are as follows: Average Indicators for $: Single Family +3%, Multi- Family +4% and Vacant Land +4%.Median Indicators for $:: Single Family +5%, Multi- Family +7% and Vacant Land +70%. 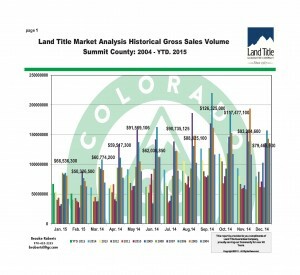 These indicators translate that the prices are still fairly stable to last year, increasing slightly especially the median price for vacant land in Keystone and Silverthorne this September. Market Analysis % Change showing years 2004-2014 YTD: September monetary volume ($126,325,000) is up 19% from September 2013, transaction volume (272) is up 7% from September 2013. 2014 YTD(9 months) monetary volume is up 11% from YTD 2013. YTD 2014 transaction volume is up by 4% from YTD 2013. This September had the most transactions since 2007! Residential Market Sales by Price Point : Residential volume in September had 236 transactions with $119,495,600 gross volume. There were 19 properties that sold for $1M and above in September. The most active price point in September was between the ranges of $300K to $400K, with $400K- $500K in second place. There were 84 Single family, 152 Multi-family and 14 Vacant land transactions in September. 2014 Average Price History: Average residential pricing continues to be consistent as of September – Single family is $774,644, Multi- family is at $359,727 and Vacant land is $338,479. This graph on page 7 is a great piece to show your clients that our market has held it’s value over all these years. Historical Cost Breakdown YTD 2014 : There have been 1189 residential transactions YTD 2014 and $598,737,300 gross volume with 91 properties selling for a $1M and over- Compared to 2013 YTD, there were 1104 transactions and $548,737,300 gross volume, 89 properties at $1M and over and in 2012 YTD, there were 842 transactions with $443,289,700 gross volume, 75 properties at $1M and over. Top Lender Graph: There were 591 loans in September, with 60% of the purchasers obtaining financing at the time of sale. 40% of the real estate closings were cash transactions. There were 1220 Refinances. 307 loans were related to Timeshare Sales. Foreclosures: Foreclosure actions were down again with 7 in September. YTD there have been only 52 Public Trustees Deeds. Land Title Purchaser Highlights ( Page 15):There were 19 higher end sales in September to note- you can see the details on this report. In September, the majority of our buyers for real estate transactions continue to be the Front Range demographic at 43% of our market, only 26% are local and 31% are out of state buyers. Again, out of state buyers were busy in September purchasing some higher end properties in Summit County!